In a new TV ad criticizing President Obama, Mitt Romney's campaign appears to be targeting single women voters who may like the president a great deal but are skeptical if he can deliver the type of change that he was talking about. NBC's David Gregory reports. CHARLOTTE, N.C. -- Mitt Romney’s getting back in the game. His campaign went dark on television 11 days ago, but today it booked $4.5 million (so far) in TV ads in eight battleground states today, according to NBC News and ad-tracker SMG Delta. There was a lot of free media out of the convention for Romney, but it was striking that the only advertising run was from the Obama campaign and pro-Romney outside groups. Romney is also able now to tap into general-election funds, which he wasn’t able to prior to accepting the nomination a week ago. The states seeing the biggest spending in this buy round are Virginia, Ohio, and Florida with about $1 million each. Also notably, Romney is spending about $600,000 in this buy on North Carolina, a state most analysts see as beginning to trend toward Romney, but close enough that he may have to spend money here. The other states he will be up in with this buy – Colorado, Iowa, New Hampshire, and Nevada. Republican presidential candidate and former Massachusetts Governor Mitt Romney talks briefly with reporters after stopping to buy two pizzas at Lui-Lui restaurant in West Lebanon, New Hampshire September 5, 2012. Ad spending has now reached $573 million for this general-election presidential race. 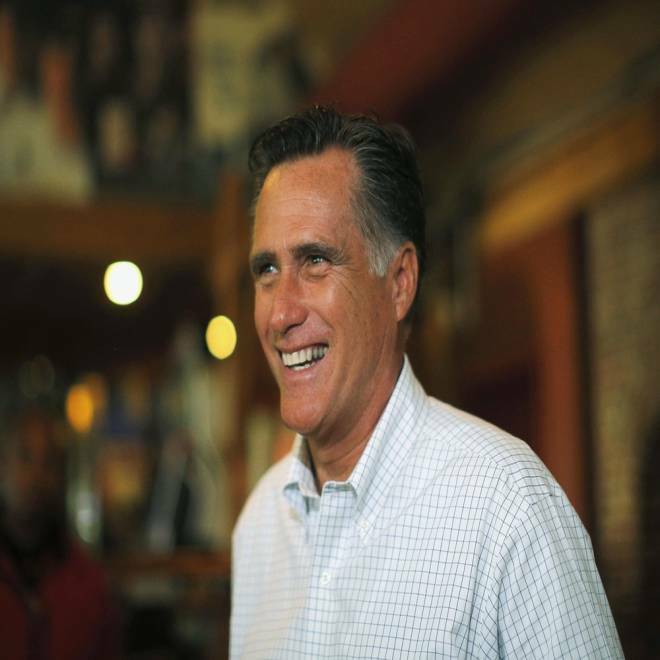 With the help of outside groups, Romney and allies are outspending Obama and his supporters $303 million to $269 million. President Obama’s campaign is the biggest-single advertiser at $218 million. Romney has spent just $79 million on ads. But the Crossroads groups are making up the difference big time, spending $106 million. Another noteworthy fact, for all that Restore Our Future did for Romney in primaries and for all the talk of Priorities USA’s fundraising problems, Priorities has actually outspent Restore this election, $45 million to $41 million. The problem for Democrats is that there are multiple outside groups supporting Romney who are spending substantial amounts of money. In addition to Crossroads and Restore, the Koch Brothers’-backed Americans for Prosperity has spent $47 million, for example. The Washington Post's Chris Cillizza, Democratic strategist and former top advisor to VP Al Gore, Michael Feldman and President of the Center for American Progress Neera Tanden talk about what President Barack Obama needs to say in his speech to lay out a vision for the next four years. And once again, there is no advertising for Romney in Wisconsin (despite the pick of Paul Ryan as VP), Michigan, or Pennsylvania.